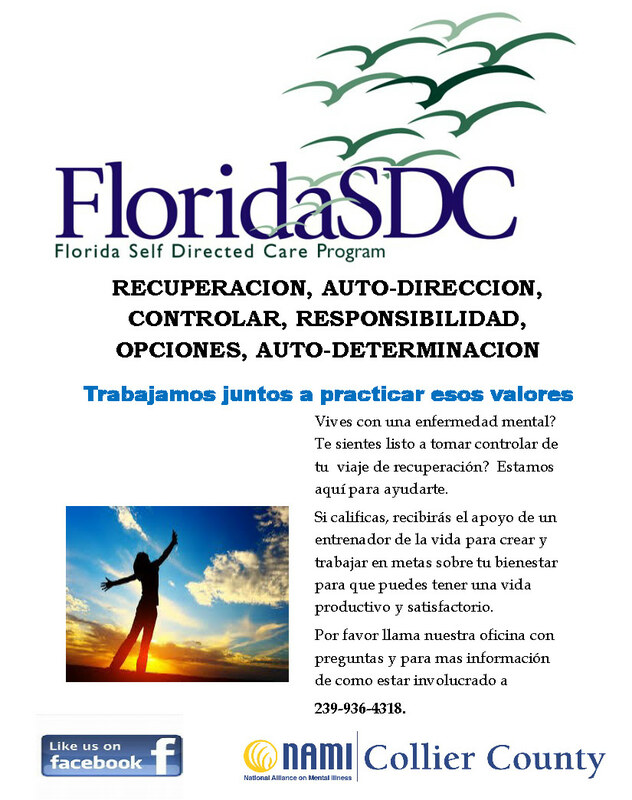 The Florida Self-Directed Care (FloridaSDC) Program hinges on the belief that individuals are capable of choosing services and making purchases that will help them begin or remain on the road to recovery and to develop or regain a life of meaningful, productive activity. 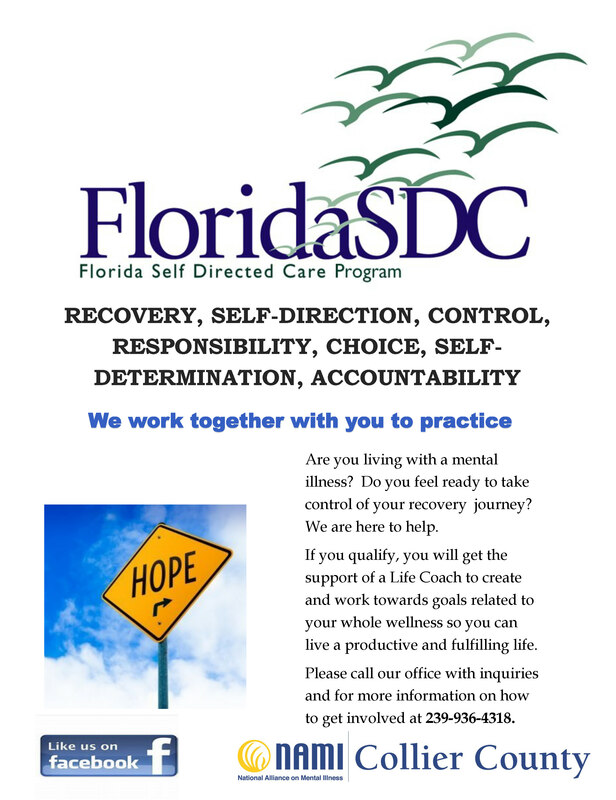 The goal of FloridaSDC is to respect and promote self-determination, recovery and full community inclusion for people who have been diagnosed with a mental illness and who depend on government subsidized mental wellness services. 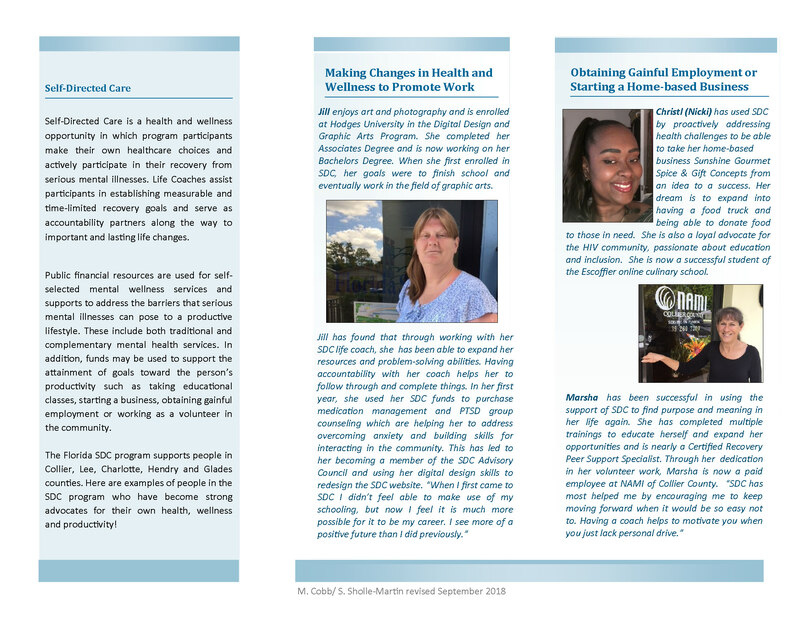 Self-Directed Care is a service delivery model in which program participants make their own healthcare choices and actively participate in their recovery from serious mental illnesses. Life Coaches assist participants in establishing measurable and time-limited recovery goals and serve as accountability partners along the way to important and lasting life changes. Public financial resources are used for self-selected mental wellness services and supports to address the barriers that serious mental illnesses can pose to a productive lifestyle, and can include both traditional and complementary mental health services. In addition, funds may be used to support goals toward the person’s productivity such as taking educational classes, starting a business, obtaining gainful employment or working as a volunteer in the community. The Florida SDC program covers a five-county area and supports up to 76 people at any one time. For more information, please call 239-936-4318. Please click HERE for SDC Flier Hope English version and HERE for Spanish version.